The blooms blossom on the trees, the deserts are covered with red tulips, nightingales sing in the gardens, swallows fly in the sky and dip down towards the earth to share the feeling they have of spring with the children who play happily or fly kites under the slight drops of spring rain. 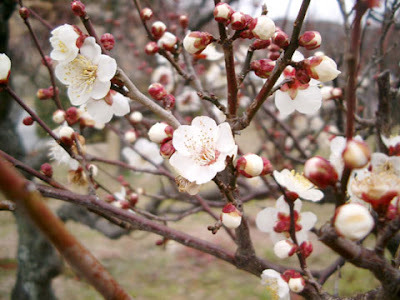 The snows have already melted and ants are visible everywhere on the earth, beginning to work while delivering the message of arrival of a new season, and a new beginning is visible from many signs. 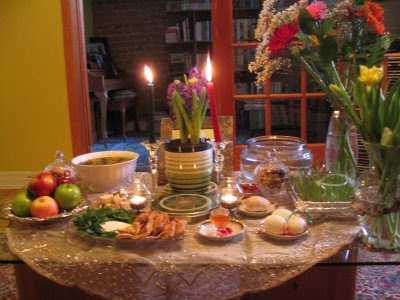 NOWROZ is on the way, NOWROZ that means THE NEW DAY that is being celebrated continuously for centuries in this land. Children or adults, young or elderly sing this song during these days. 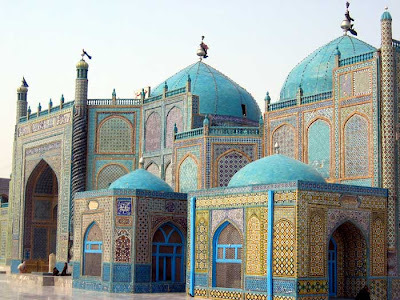 Of course Mazar e Sharif the capital of the northern land, and the home town of the great poet Rumi, is the main city for the celebration of the New Year Fest. Every year at this time, hundreds of thousands of people come to Mazar from different corners of the country, if there is enough security between the cities.. 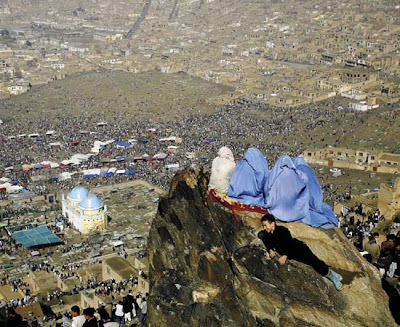 They want to pass the New Year days in this holy city that is believed to host the shrine of Imam Ali, the Shiite’s first Imam and the Sunni’s fourth Caliph who is the only junction point in between the Shiites and Sunni Muslims of Afghanistan. And of course as said by the people, Mazar is very beautiful in this season, more beautiful than any other seasons of the year; it is beautiful because there are a lot of tulips in the deserts around the city. It is beautiful because many people from different ethnic backgrounds, of different colors and different provinces get together there to raise the flag of the shrine that is called “JANDA BALAA.” They hug each other very sincerely and friendly and forget any kind of animosity and argument they had during the past year, and commit to begin a new year with new plans. The shrine of Imam Ali in Mazar e Sharif is the shining jewel of the town. 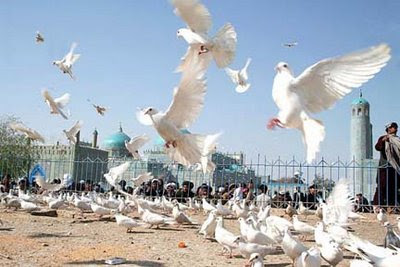 The presence of hundreds of white pigeons in this shrine makes it nicer and presence of people at Nowroz make it the nicest. 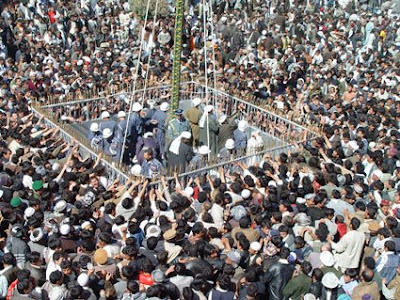 We should not forget that after Mazar e Sharif, Kabul is the second biggest place for the “JANDA BALA” celebration of NOWROZ. The SAKHI Pilgrimage in the west of Kabul is also believed to be the passage place of Imam Ali and is located mid-way up Asmayee Mountain. On NOROWZ thousands of people gather there to raise the flag of this religious place and celebrate the New Year that is the beginning of the spring. Let’s not forget about the HAFT SEEN, that means SEVEN and is seven things usually food (fruits or vegetables) that begins with the letter S on the dining table or dining mat on New Years Day. It is also a very important tradition among the Afghans in the Afghan New Year’s Fest. While every one is happy and cheering in fine new clothes on New Year’s Day, I wish I would been able to be there among those white pigeons of Mazar e Sharif and among my family members, friends and my people in this important feast, but I can’t. The only thing I can do is to say Happy New Year from the core of my heart, to my family members, friends, and all homeland fellows. And to pray for them and for peace in my country so that the year 1387 will be full of prosperity and happiness for everyone in my country, Afghanistan. 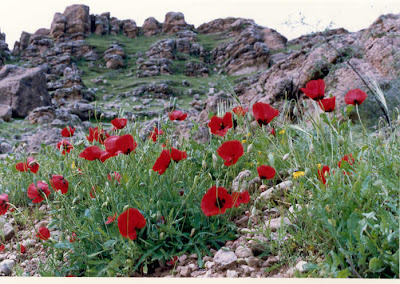 HAR ROZ E TAAN NAWROZ NAWROZ E TAAN PEROZ!